After their breakthrough and more accessible album 'Do You Like Rock Music? ', British Sea Power have decided to indulge themselves with their latest long player, unfortunately to lesser effect. It feels like a missed opportunity from a band that is capable of more than this fairly decent return. 'Valhalla Dancehall' starts well with opening track 'Who’s In Control', which is among the hardest rock songs British Sea Power has produced, capturing the zeitgeist with its nods to protesting and the lyrics "Did you not know?/Were you not told?/Everything around you is being sold." You can imagine the power of this song live, where BSP are a formidable proposition. The follow-up, 'We Are Sound' is a decent enough song, but sees the band treading old territory and the outro is unnecessary, making the song about a minute too long. The ballad 'Georgie Ray' provides temporary relief from the cacophony of the previous tracks as the following track, 'Stunde Null' sees a return to the driving, harsher sounds of the earlier tracks. The momentum built up by the first half of the album begins to stall with 'Baby' but it’s swiftly regained with the first single 'Living Is So Easy'. A biting comment on consumer culture, it sees the band embracing synths to lovely effect. Unfortunately, 'Cleaning Out The Rooms' marks the start of a run of unremarkable songs, only interrupted briefly by the punkish 'Thin Black Sail'. This self-indulgence is particularly pronounced on 'Once More Now', which at over 10 minutes long makes you ache for the end of the album – a feeling I’ve never had with a previous BSP record. A frustrating, flawed album which lacks a truly standout song on a par with 'Waving Flags' or 'Carrion', perhaps 'Valhalla Dancehall' was the natural reaction to the bombast and epic nature of 'Do You Like Rock Music?'. It’s vital there are bands like British Sea Power who are prepared to wear their eccentricities and intellect on their sleeve but disappointingly they’ve made their musical world more distant on this record. One hopes 'Valhalla Dancehall' isn’t the start of a realisation of the title of their debut album, 'The Decline Of British Sea Power'. 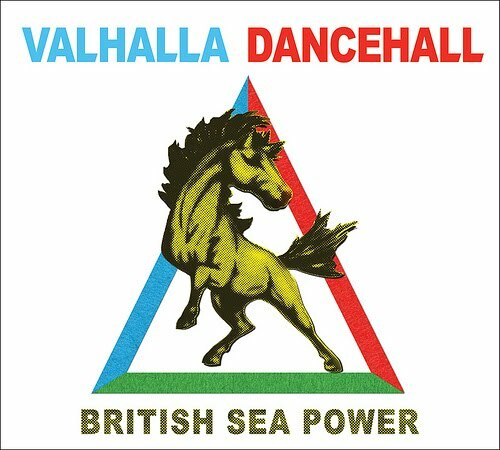 Purchase 'Valhalla Dancehall' at amazon.co.uk or amazon.com.